Lovely & durable beige sectional just in and won’t last long…$1,695 104×104. Pillows, $16-$18 ea. Harbor fine art giclee, $295 44×32. Hexagon coffee table $275 36×41.5×18″h. ON-TREND buffalo check print accent chairs, $475 ea 32x42x42″h. Metal accent table $52 15x15x12.5h. White demilune $203 36x15x30h. Palm art, $52 25×31. (A companion is available) Lamp $24. Pillows $28 ea. Light blue sofa, $595 87″w. Blush accent chairs $275 ea 31x15x33h. Coastal giclee $395 44×44. Throw $32. White lamp retails for $395, our price $145, 28″h. BRAND NEW accent chairs can be ordered in different fabrics! (L) Navy coral club chairs $425 ea, 29x31x34h. (R) Polka dot swivel gliders in grey and taupe, $495 ea. 32x33x35″h. We have TWO of these dressers w/ mirrors by Stanley just in on consignment, a STEAL at $395 ea, 65x21x40.5″h. Botanical art, $75 ea 25×30. Capiz shell lamps, $52 ea 27″h. Accessories $12-$32. A roomy, band new grey 4-pc sectional for $1,895, 106x138x65″ (chaise side). Pillows $28-$38. CONSIGNMENT SCORE. A great looking 44″ pedestal table by Lexington just $295. No leaf. Lexington arm chairs $125 ea, sold in pairs only. Great sofas just in…Blue sofa $595 77.5×34.5×36.5″h. Taupe sofa with nailheads $695 94x37x34″h. Pillows $28-$38 ea. Ivory/navy striped accent chairs $395 ea, 33x33x39″h. Ivory 26″ table $225, 26.5″h. Handmade lamp retails $799, our price $395. 26″h. Call 910.679.4302 to place a phone order. (L) Modern 4-light chandelier $395 41×21.5″h. (R) Wicker chandelier, $325 20.75″ diam x 19.75″h. (L) ‘Carriage House’ small chandelier by Ballard retails on sale for $140, our price $75, 8x8x12″h. (R) Ivory distressed chandelier, $325. 17x17x26.5″h. Taupe tufted settee, $595 63x39x39″h. Hand embellished abstract, $225 36×48. Pillows, $36 ea. Lamps just $62 ea, 31″h. Throw $52. TOMMY BAHAMA coffee table on consignment and a deal at $225, 42x42x20.5″h. Coordinating side table $225, 26×28.8×28″h. Beige sofa with clean lines, $695 94x42x39″h. Koi fish art, $225 52×40. Yellow pillows, $28 ea. Bamboo arrangement $125. Metal 36″ glass top coffee table brand new, a SCORE at $125. 19″h. Coordinating side tables, $95 ea, 22″ diam x 23.5″h. Beige chofa with reversible chaise, $695 82×58.5×36.5″h. Beach giclee $275 50×29.5. Pillows $12-28. Throw $42. Cherry curio just $65, 20.5x10x70″h. Classic pair of Bergere chairs in green & ivory, a consignment score at $175 ea, 26x20x38″h. Brand new ivory sectional covered in durable ‘Revolution’ fabric, $2,895. 99.5×128. Includes USB outlets to stay connected in style. Pillows/throw $18-$42. Rattan coffee table $165, 24.5″ diam x 17″h. 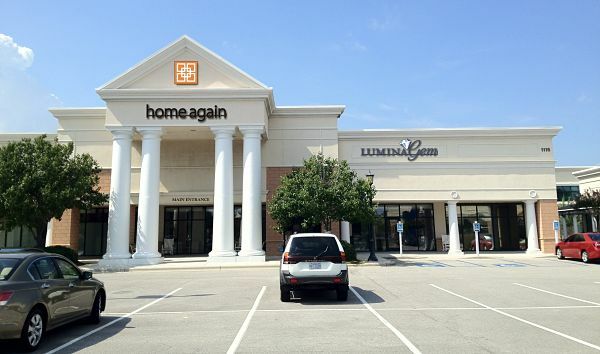 Designer lamps at reduced prices! (L) Tall 37.5″ bronze buffet lamps, $145 ea. (R) 24″ Wood-look lamps, $62 ea. Blue chofa with reversible chaise, $695 82x64x38″h. Nesting tables $195, largest measures 25.5″ diam x 22″h. Pillows, $16-$18. This sweet dining set is perfect for small spaces. The folding table retails $218, our price $125, 27.5×27.5x30h. Chairs retail $118 ea, our price $75 ea. Just in on consignment, pair of Rowe accent chairs in navy, taupe, and beige $325 ea. 30x29x34.5”h. Framed shorebird art, $225 41.5×29.5. White demilune $203, 36x15x30h. Mercury glass lamp, $38, 16”h. you shopped our DIAMOND MONTH SALE yet?? 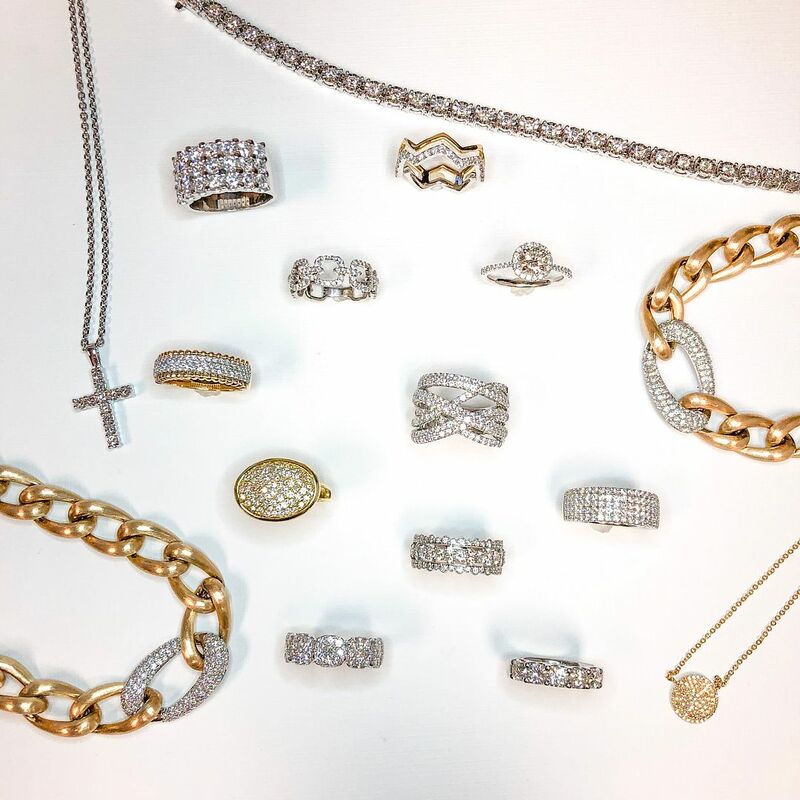 Pieces with diamonds are 20% off for the entire month of April! The sale excludes loose diamonds, watches, and estate engagement. 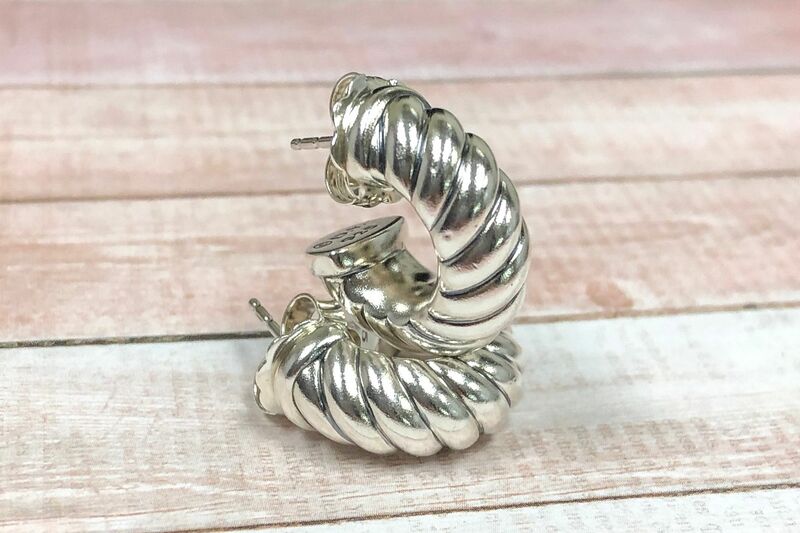 Tons of David Yurman consignments! Hit the SHOP NOW button to make it yours. 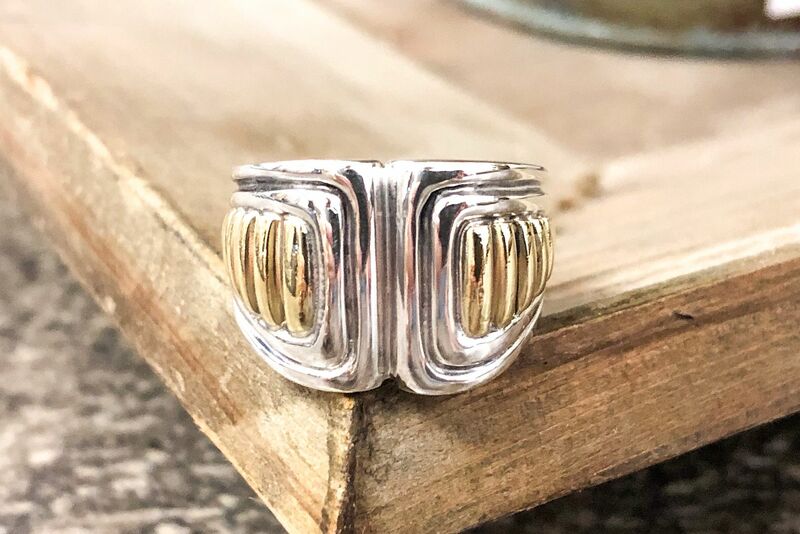 David Yurman diamond and sterling silver fashion ring, $595. Diamond month sale price: $476. 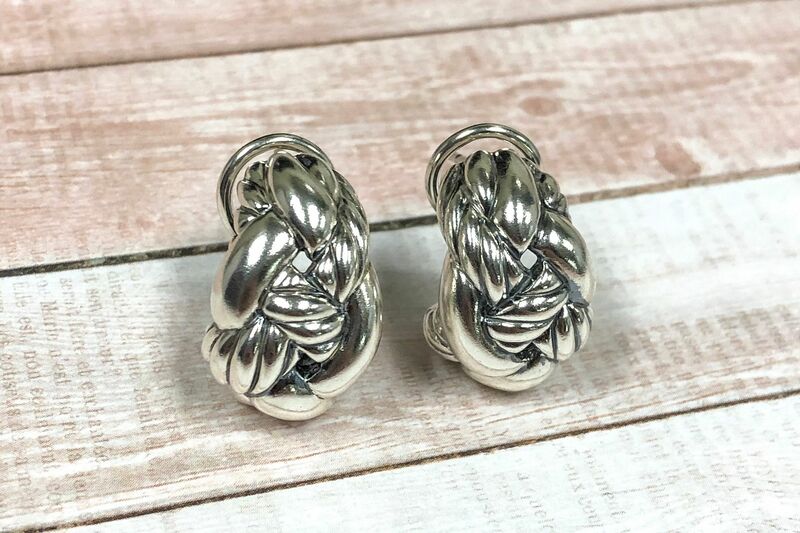 David Yurman sterling silver huggies. Left: $260, right: $200. 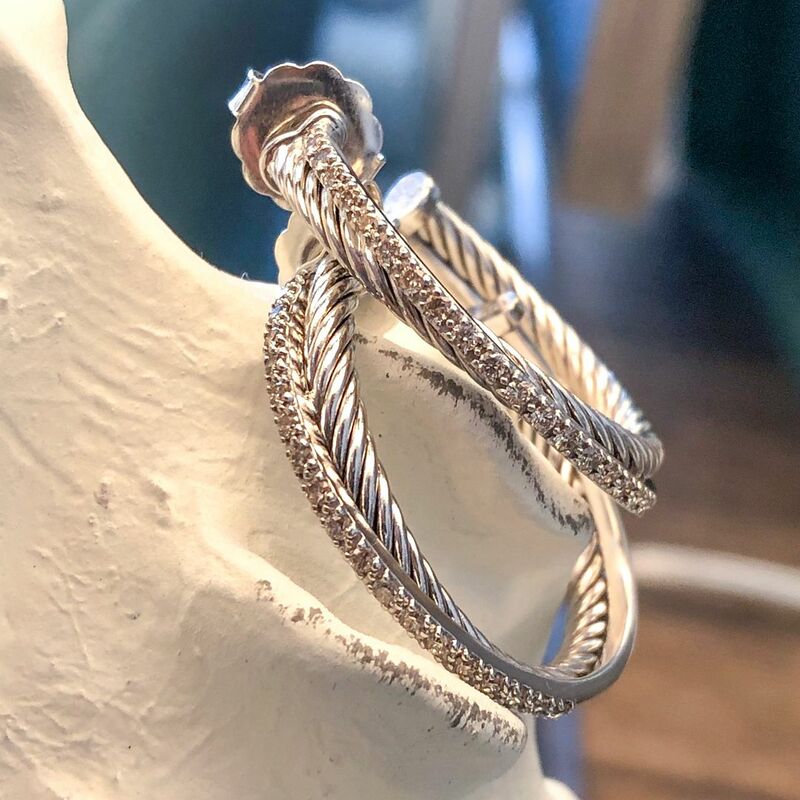 David Yurman sterling silver and diamond crossover hoops, $995. Diamond month sale price: $796. What’s that? More great consignments? 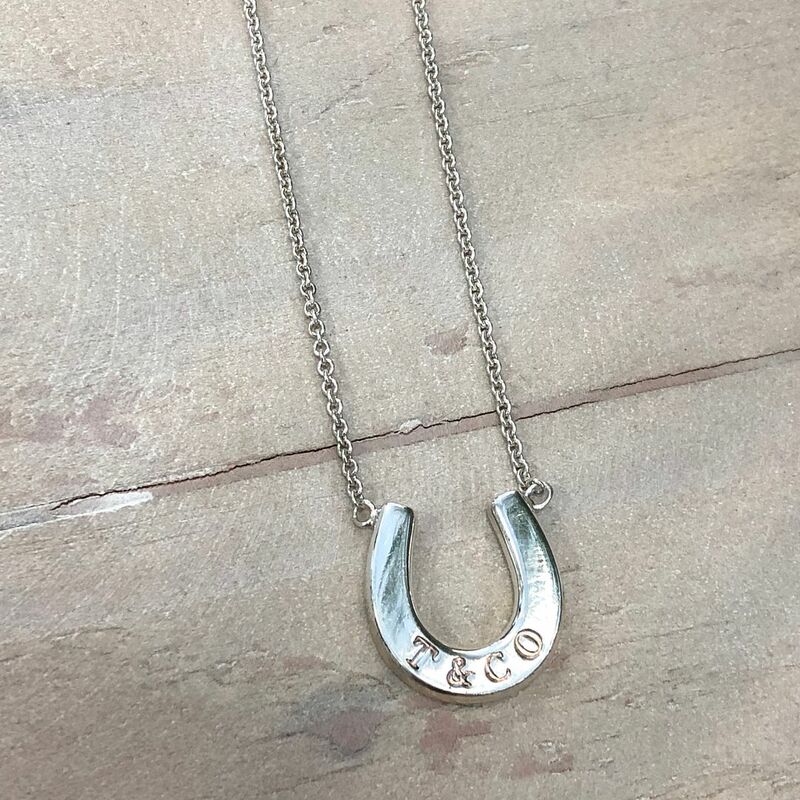 Tiffany & Co. sterling silver horseshoe necklace, $262. 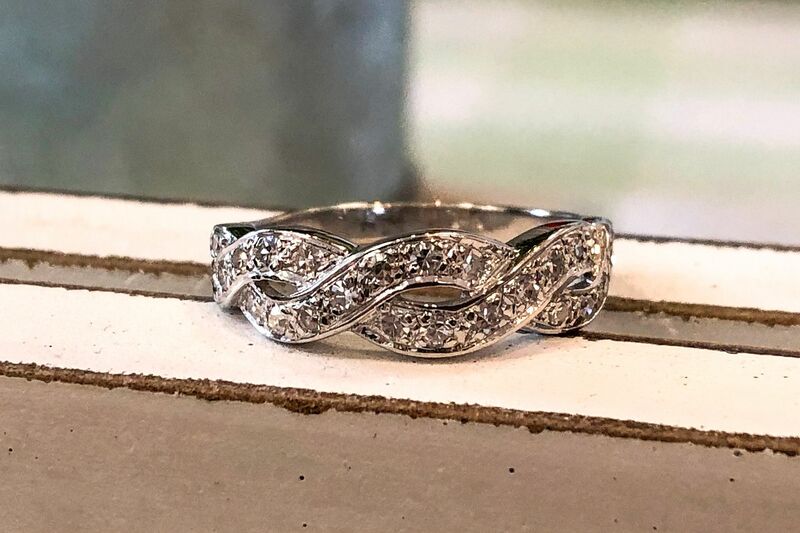 Diamond twisted band in 14k white gold, $545. Diamond month sale price: $436. 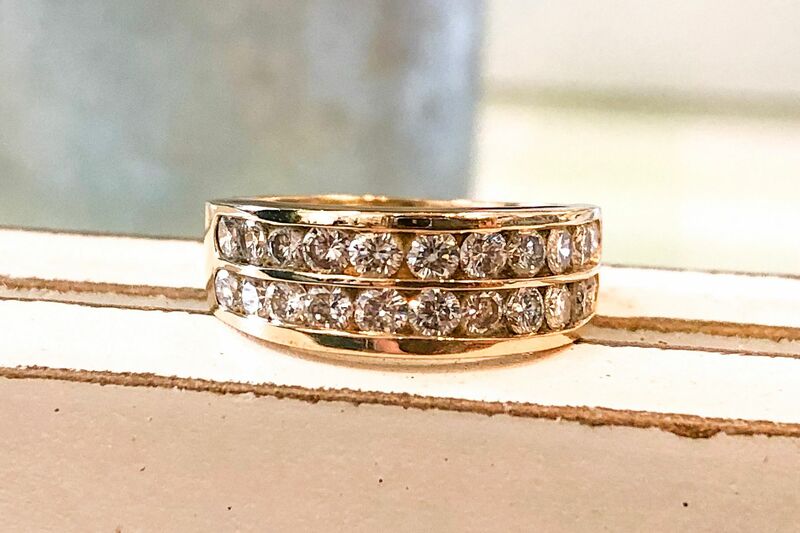 1.5ctw diamond double row band in 14k yellow gold, $2,395. Diamond month sale price: $1,916. 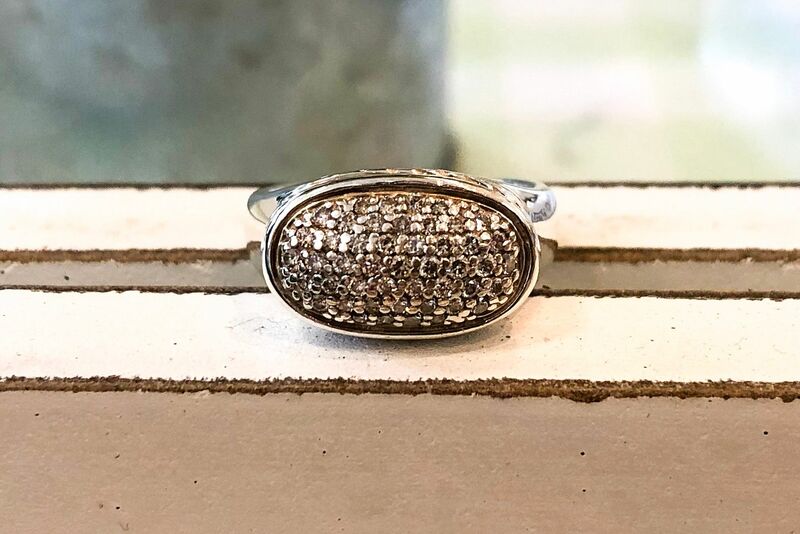 Lagos caviar sterling silver and 18k yellow gold ring, $320. 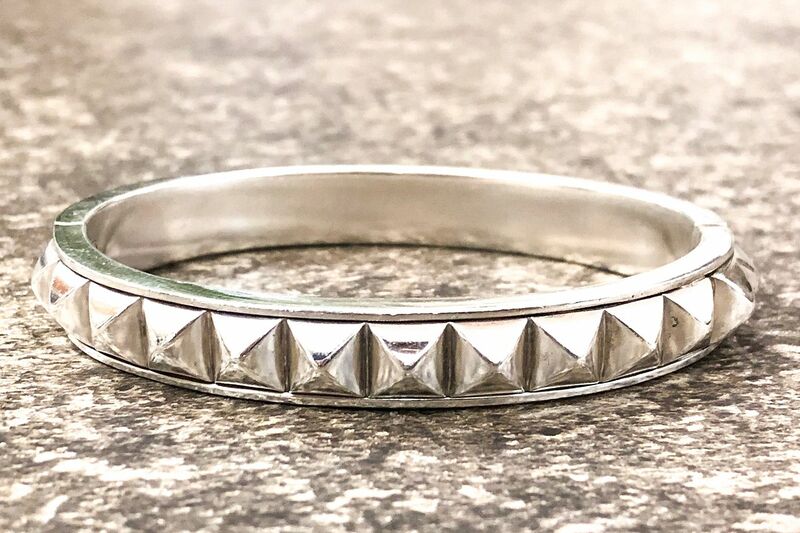 Lagos caviar sterling silver and 18k yellow gold hinged bangle, $725. 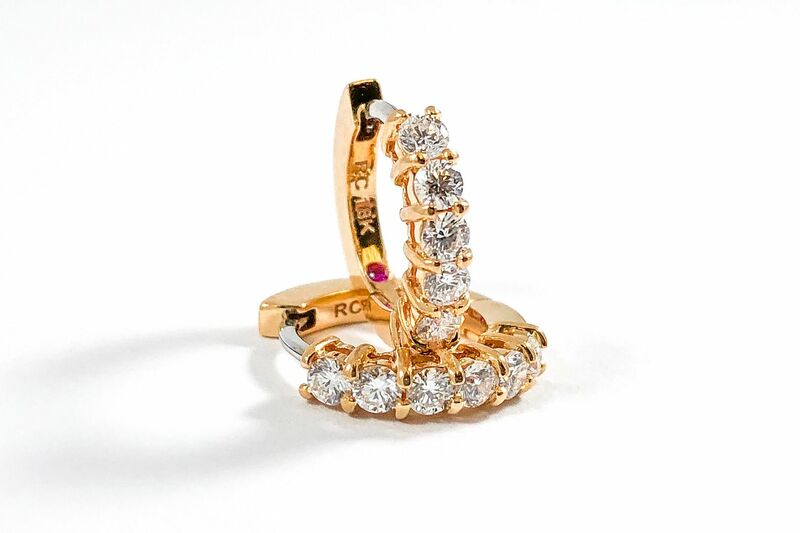 Roberto Coin .70ctw G-H color VS clarity diamond huggies in 18k rose gold, $1,610. Diamond month sale price: $1,288. The statement maker! 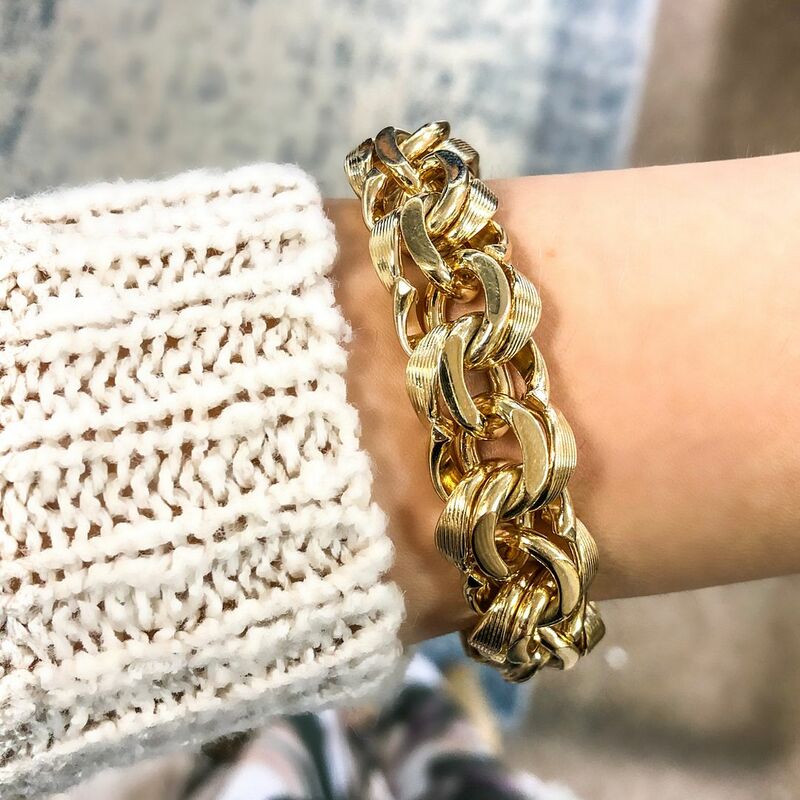 76g 14k yellow gold bracelet, $2,995. 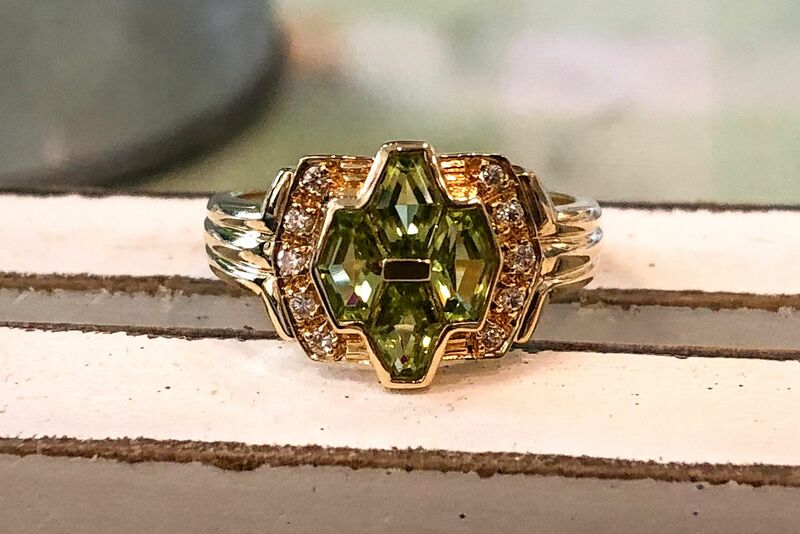 Peridot and diamond fashion ring in 19k yellow gold, $545. Diamond month sale price: $436. 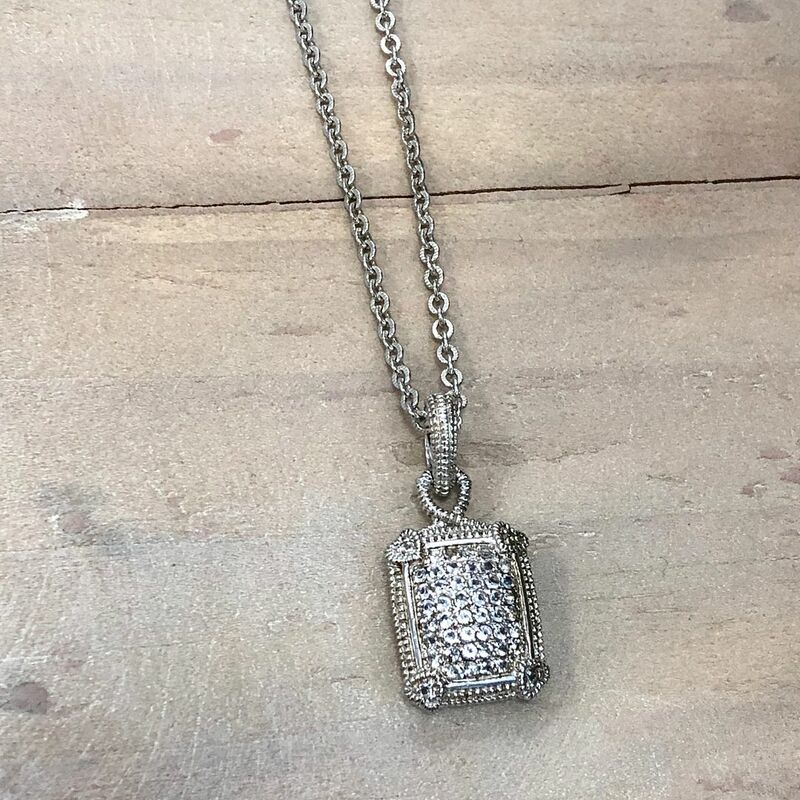 Judith Ripka sterling silver and CZ enhancer on a 17 inch sterling silver cable link chain, $330. 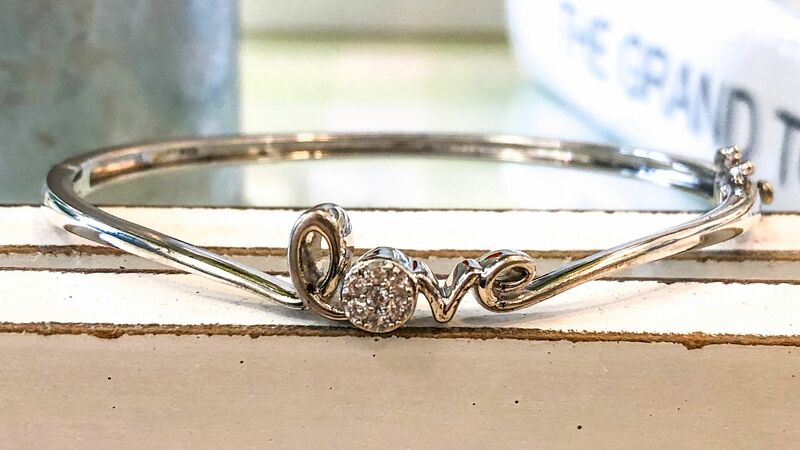 Diamond and sterling silver “Love” hinged bangle, $200. Diamond month sale price: $160. 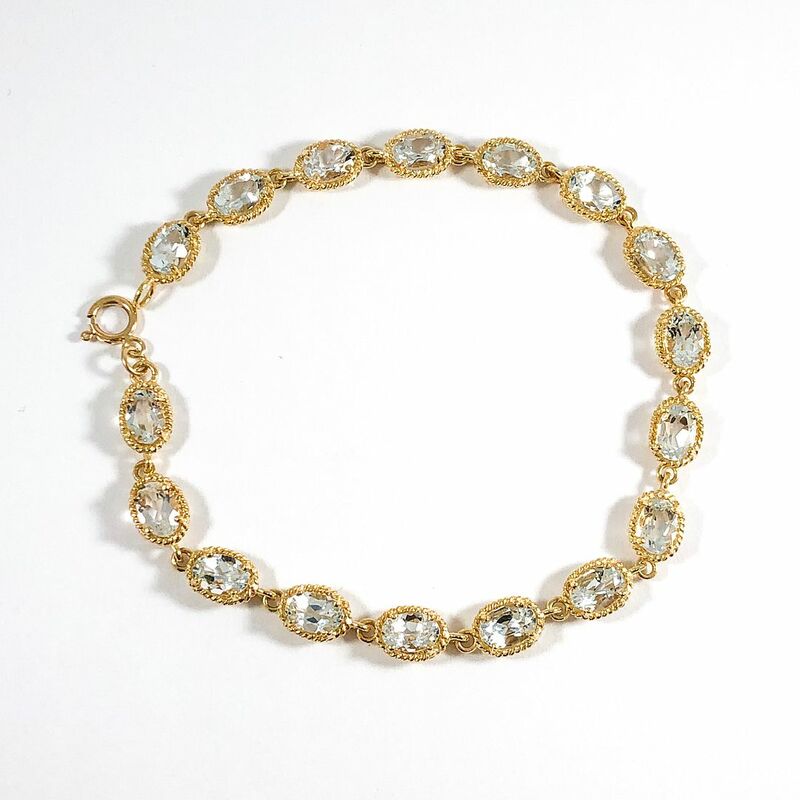 Aquamarine bracelet in 14k yellow gold, $495. 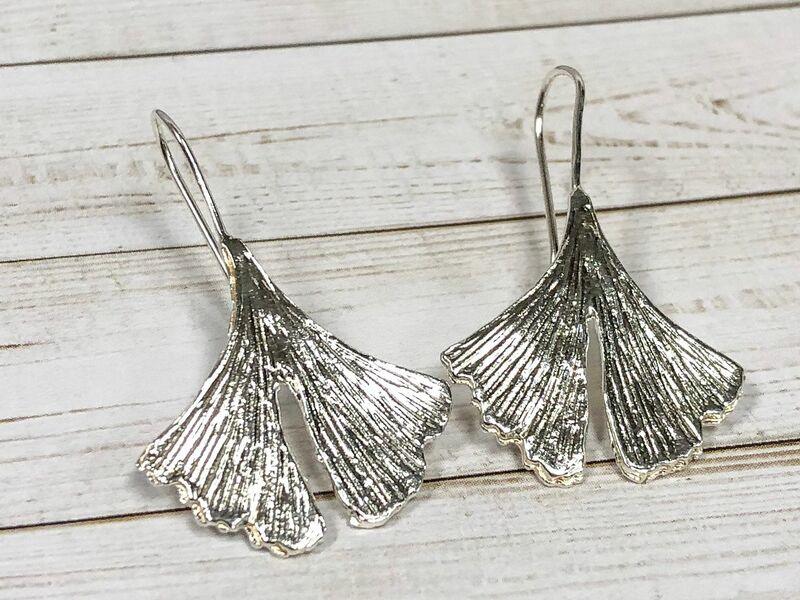 Sterling silver ginko leaf earrings, $70. 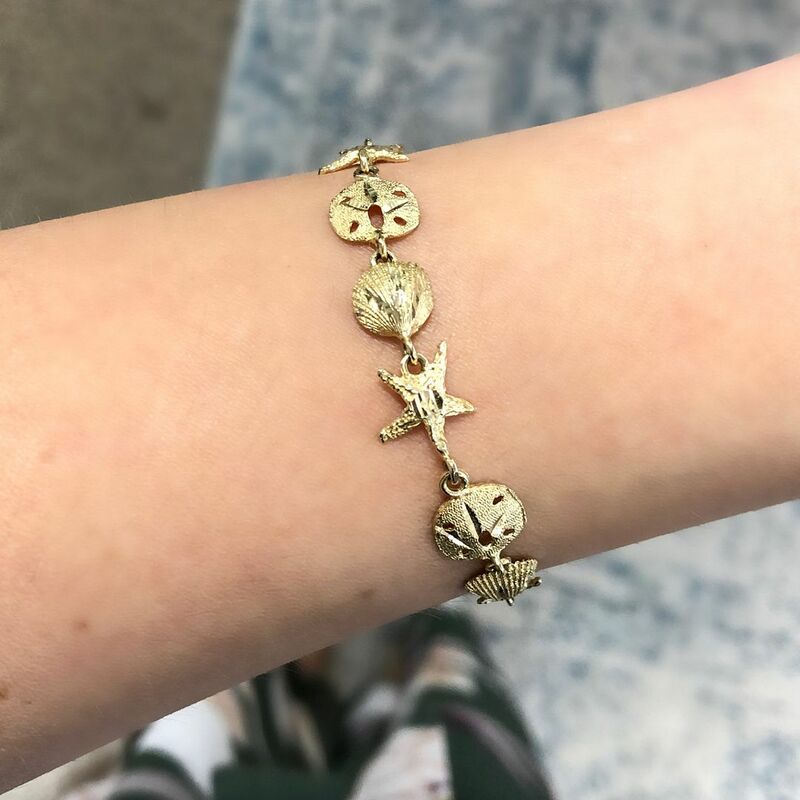 14k yellow gold seashell bracelet, $320. 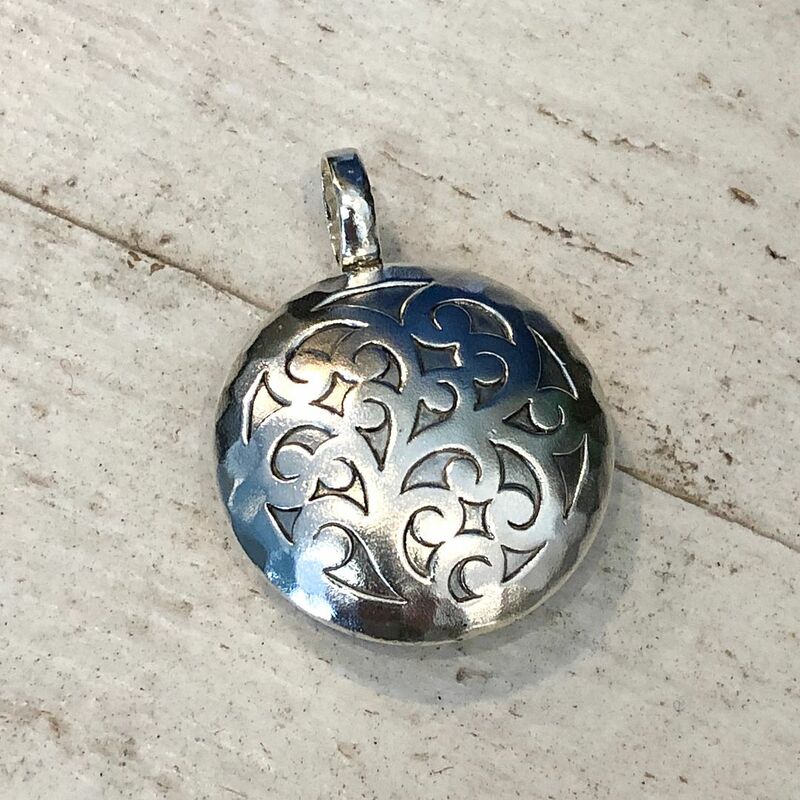 Lois Hill sterling silver handmade pendant, $120. 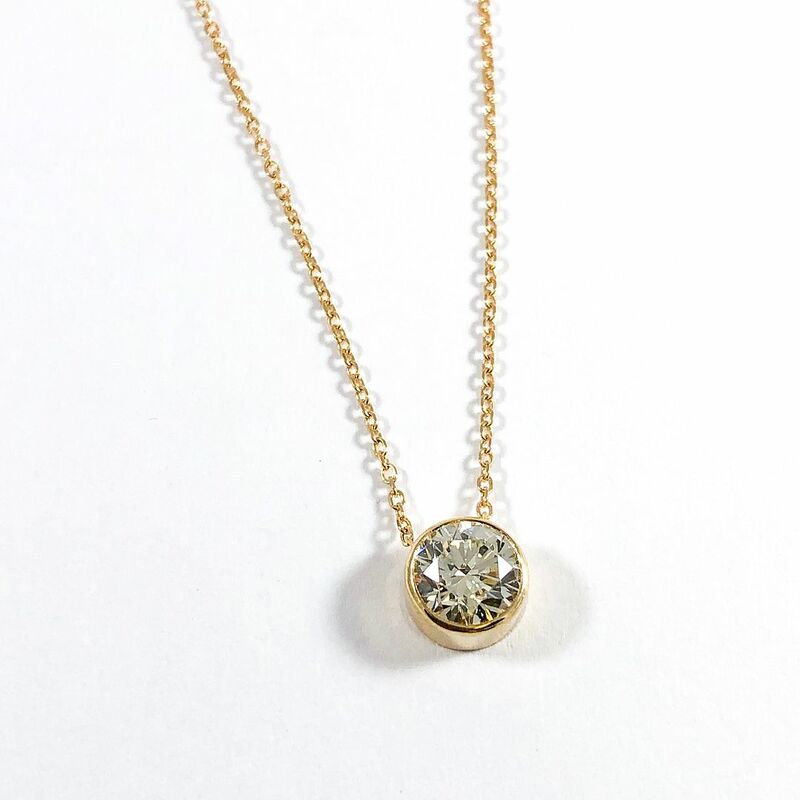 1.01ct L color VS2 clarity diamond pendant in 14ky gold, $3,995. Diamond month sale price: $3,196.